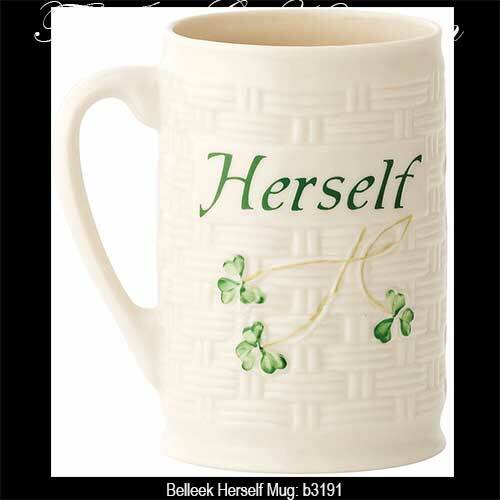 The Belleek herself mug features hand painted green shamrocks and text. 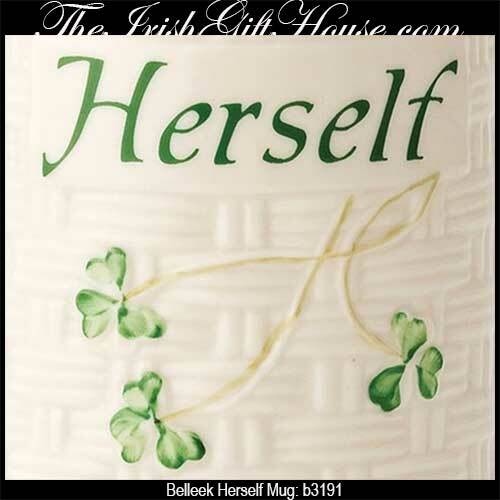 The herself mug is made of fine Irish china and measures 4" wide x 4 1/2" tall. The Belleek China mug holds 12 ounces and is safe to use in the dishwasher along with the microwave oven.